I spent most of my life drawing and painting, but in 9th grade keyboarding class, me and my friend spent the entire semester typing out rap lyrics. And I wrote a racist story about a Mexican who robbed me and my aunt by gunpoint at an ATM. The police found out who he was because he dropped his I.D. for food stamps. I’m from West Virginia and had never seen Mexicans or used an ATM. And we were the ones who used food stamps. My older cousin who taught me how to draw used to take me in the train tunnel with a flashlight and spray paint to tag the walls. But we couldn’t see the whole of what we wrote until a train came. 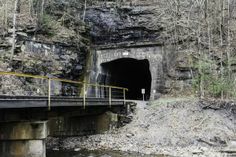 We’d press our backs to the tunnel and look across to the other wall for a few seconds until the train blocked it. My aunt (who got robbed by the Mexican) had books all over her house and always talked about what she was reading. She traveled a lot, and collected shot glasses from wherever she went. I would pitch fits because my mom wouldn’t let me go with her. My aunt told me not to worry, that I could read instead because books could take you anywhere. Later, I ended up joining the Navy and flew around the world getting drunk, and actually met a guy in the Navy named Lorenzo, who ended up being one of my best friends, and he helped me write Potted Meat. We did and still do get drunk and travel together. He is the dragon, or I am, depending on the time. All of this is to say that reading/writing and its pleasures, fears, secrets, dangers, subversions, and mysterious ways of calling out/in, had been persistent haunts. But I was still set on being a painter. I had an art show in Denver at Mutiny Now Bookstore. And my wife (then girlfriend) asked me did I notice that my paintings had a lot of words on them [rupture, new opening]. I wasn’t expressing what I needed to in my painting, and that small rupture [external illumination], made me start taking writing seriously and attempting to figure out what was trying to express itself through me. 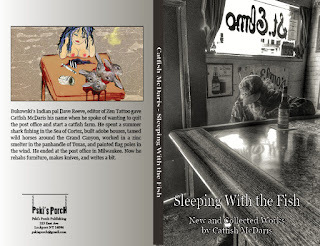 Ten years later, Tarpaulin Sky Press published my first novel. In between that time, I wrote while on nuclear submarines (dark tunnel). While I was a student/security guard/parent. I wrote in Hawaii, Japan, Korea, Guam, Belize, England, Scotland, Norway, France – traveling like my aunt who is now going blind, but listens to audio books. But my cousin told me she used what little sight she had left to read my book. A little light to see the whole of what I wrote. 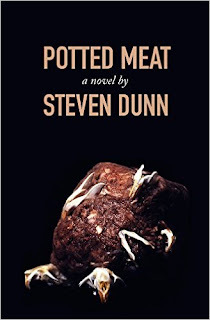 Steven Dunn is the author of the novel Potted Meat (Tarpaulin Sky, 2016) He was born and raised in West Virginia, and after ten years in the Navy, he earned a B.A. in Creative Writing from University of Denver. 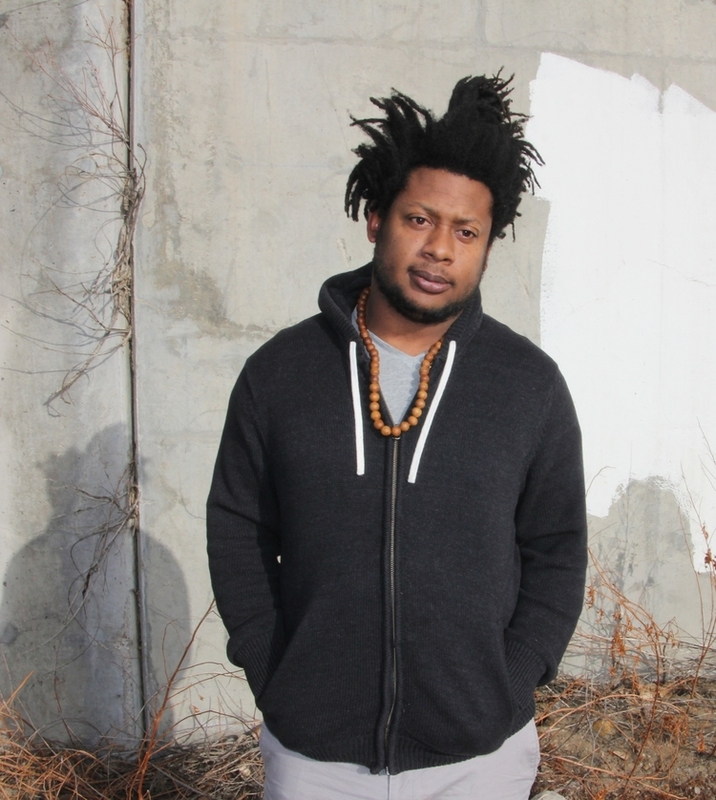 Some of his work can be found in Columbia Journal and Granta Magazine. The writing bug bit me while I was in the army in Germany. I’d write family and friends about all my experiences: castles with paintings where the eyes seemed to follow you around the room, shooting cannons, the pretty frauleins, and rough toilet paper on the trains. Everyone looked forward to my letters. I’d been reading westerns and war books because they fit in my pocket. I learned about the classics from different authors of all nationalities. I decided I could write, so my first attempt was a western set in my home state of New Mexico. It never got published. I finished my three-year hitch, then headed “back to the world.” I explored Mexico where I fished for sharks, lived in a car through a winter in Denver, built adobe buildings, worked in a zinc smelter. I kept a few notebooks from then, but never sent anything out. Later I moved to Milwaukee, got a job in the Post Office, and married a beautiful Mexican lady. I discovered small presses and Bukowski. I started sending poems (which to me were always stories) and short fiction to magazines in 1992. After lots of rejects, I began to get published. I was able to write at work in small notebooks or on scraps of paper, then rewrite on my typewriter. I figured Buk did it this way. In 1994 I went to De Paul University to read at the First Underground Press Conference and met many publishers and writers. I organized several charity music and poetry events in Milwaukee called Wordstock. 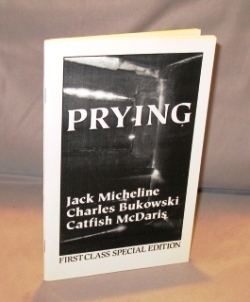 In 1997 I was published in a three-way chapbook called Prying with Jack Micheline and Charles Bukowski. By then I’d done five or six solo chapbooks. 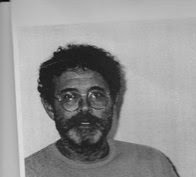 In 1998 I went to Cherry Valley, NY to Ginsberg’s farm and read with all the Beatniks left alive. (Burroughs and Ginsberg were dead) This was a three-day event that got real wild. In 2007 I took my wife, Aida to Paris for our 25th wedding anniversary. I read at Shakespeare and Co. Bookstore. I also read on 42nd in NYC with a Jimi Hendrix impersonator. All of my readings were practiced and rehearsed in Milwaukee at various venues. I was leery of the small press on the web. I was so used to the envelope, snail mail, SASE method. I didn’t trust or like computers. I had what I called my Hammer. It was a Smith Corona word processing typewriter. It held ten pages of memory, then you had to erase it. I’d written 20 chapbooks on it. Finally my wife gave me a computer and a few lessons. I was amazed at the ease. I’ve met people from all over the world because of the web. I’ve been translated into many different languages. I quit counting Pushcart nominations after 15 and Best of Net. I’ve won a few things over the last 25 years. I was a contributing editor to Latino Stuff Review for over ten years and Shrimp over five years. I earned lots of money for Hope House here in Milwaukee for abused women and children. The sheer joy of writing has opened my eyes and heart to many things. A few years ago Marquette University Special Archives bought my collection of books, magazines, and broadsides. They also collect anything electronic about me or from me in their archives. Now I can read over the phone on radio shows. Technology is amazing. I hope writing is never replaced by computers. Now I’m going to take a walk down to Lake Michigan, good day. Spaniard screamed in the rain and drank from the sky trying to figure where he went wrong and lost his way. He met a beautiful maiden, they ate rabbit and quail and soon she led him up a steep trail. 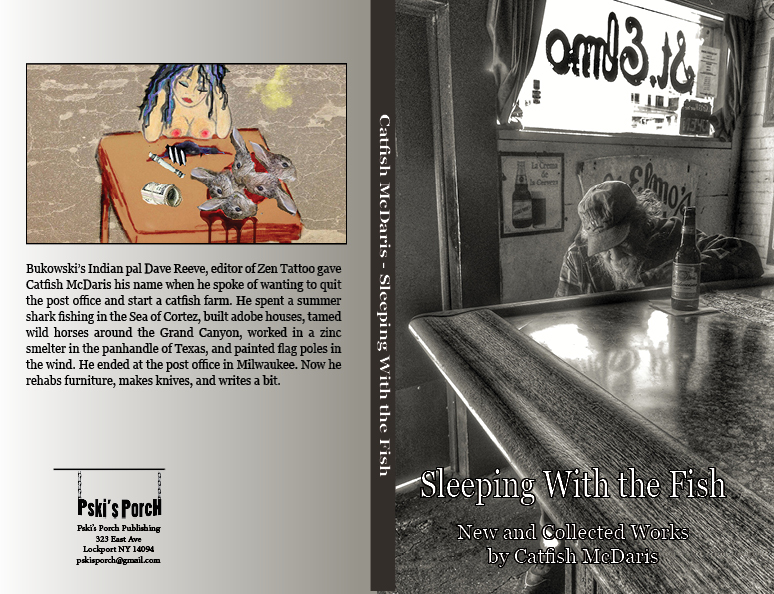 Catfish McDaris has been active in the small press world for 25 years. He shot howitzers three years in the army and used to fish and hunt as a boy in New Mexico. Sometimes he goes down to Lake Michigan and feeds seagulls and dreams of mountain horses. He’s working in a wig shop in a high crime area of Milwaukee. He’s been translated into Spanish, French, Polish, Swedish, Arabic, Bengali, Mandarin, Yoruba, Tagalog, and Esperanto. I remember the day in graduate school when the highly regarded author, who was also my thesis advisor, looked at the 150 pages of creative nonfiction I had amassed and told me I’d written “the perfect corpse.” It was the best thing she could have said to me—a type A, beat-my-head-against-the-wall, determined, writer. I knew I’d write for the rest of my life. I knew I’d find a way to make a living as a writer, not a professor. But first, I had to learn a very hard lesson. I smiled and trembled all at once, humbly accepting my pages back from my thesis advisor. I had six months to find the life in my memoir, and the only thing I knew was that what I thought worked, didn’t even come close. Hitting a wall had never felt so good, because somehow—perhaps it was growing up in a house of books, perhaps it was a high school English teacher who had made the work of the writer sound honorable—whether or not I’d keep writing was never at risk. I knew I was lucky in that regard, and finally, someone was going to help me see what wasn’t lucky about all that determination I’d been carrying around. Writing the perfect corpse looked like this: I followed all the rules. I considered my balance of scene, summary, and reflection. I applied metaphor and concrete imagery at the line-level. Whenever possible, I also extended metaphors to address the broader narrative themes that I thought my essays about "growing up girl" in America addressed. I read deeply and passionately, studying a wide spectrum of creative nonfiction. But through all my drafts, I’d never questioned the initial entry point into my memories. My brain often latched onto a story through a startling, frozen, concrete image locked in my mind’s eye. From there, I had my beginning. The rest was following the rules—and I had fun, writing both beautiful and not-so-beautiful sentences, thinking for sure I’d given it my all. What I didn’t know at the time was that the initial spark of a memory frozen in my mind’s eye—that thing I’d become so dependent upon to get the work done—wasn’t always the best place to begin. Furthermore, the image or memory itself didn’t always signify the heart of the matter in a literal or direct way; that is, it wasn’t necessarily the best way to say whatever it was I was actually trying to say. I could write a solid scene and stack several solid scenes in a row along a particular theme. But could I get at the emotional pulse of the predicament I was portraying? Could I articulate the stakes of the short-lived moments my memory kept telling me I needed to write about? I could, but not through traditional memoir form. I’d written “the perfect corpse,” but it was a corpse because the writing didn’t have a pulse. The writing didn’t have a pulse because it wasn’t in the correct…body (to extend the metaphor). The initial spark of memory that told me to write my scenes and balance things out with summary and reflection did get me through to that 150 pages—but the approach came up short in terms of determining the truly correct form for future drafts. I ran my head into the same wall over and over again, making it more and more real with each blow, until I’d built it up so high that I mistook it for absolute. But the form (or body) I needed to tell my stories in wasn’t even made of walls, so to speak. I needed something entirely fresh; something that allowed for more pulse than a basic balance of scene, summary, and reflection could provide. Like magic words, this advice made that damn wall I’d been running into completely vanish. The pulse of my stories resided in the moment, there and then gone—as fleeting as the adolescence I was writing about. I wrote short and my own heart raced. So did my thesis advisor’s. I never looked back. Interestingly, I never published a single piece of flash nonfiction from that final version of my thesis. But “writing short” hooked me forever, and I’m now known as a flash fiction author whose debut collection of short stories about the wars in Iraq and Afghanistan helped open multiple sides of the military and civilian experience to average readers who “didn’t like to read about war.” They like to read about people, and “writing short,” helped me offer readers digestible glimpses into the lives of my realistic, fictional characters in ways that I’ve been told have allowed them to experience the “human side” of war. Writing short didn’t prove to be enough, though. I became obsessed with helping others delight in this fun, magnetic form. It’s both accessible and challenging. It forces hard skills like word choice, imagery, repetition, and rhythm…but it doesn’t require 200 pages for a universal payoff. It solidifies a writer’s attention to scene, in particular, but also heightens a writer’s ability to trust the reader, omit extraneous details and backstory, and cut to the chase. Today, I offer a 5-day e-course in flash form writing, a 5-week online live course in creative flow and flash form writing, and one-on-one mentorships for writers also drawn to this form. Life is busy. Life is full. Life is as alive and kicking as ever, and I’ve got the pulse to prove it. 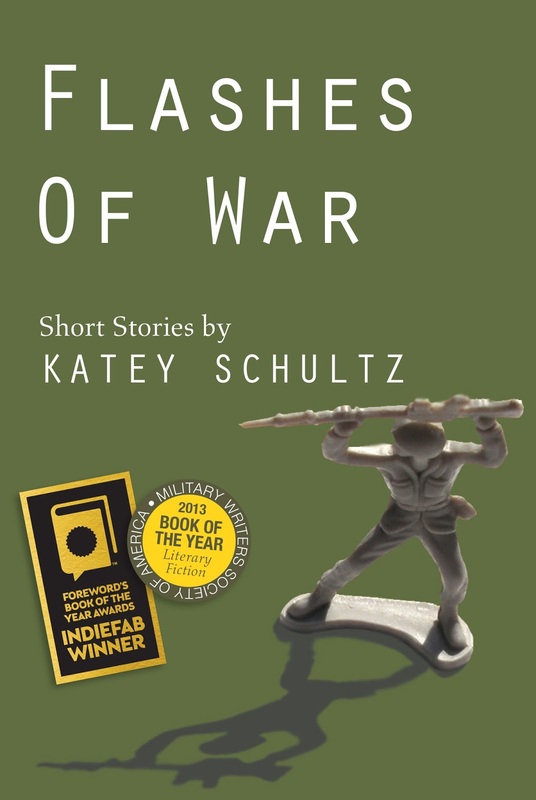 Katey Schultz is the author of Flashes of War and editor of three fiction anthologies. 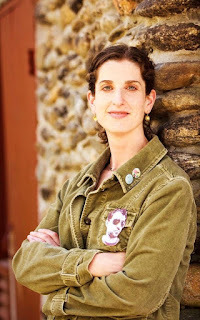 She is also the founder of Maximum Impact: Precision Courses for Writers, Artists, & Trailblazers, dedicated to the principle that the right word in the right context, can change a life. Her novel, set in Afghanistan, is represented by Sobel Weber Associates. 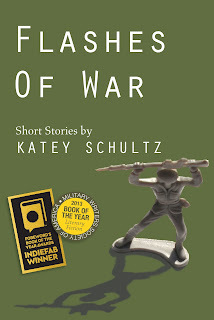 Purchase Flashes of War from my fave indie bookseller, Malaprop's! Events, blog, & course info: opt-in via email here.